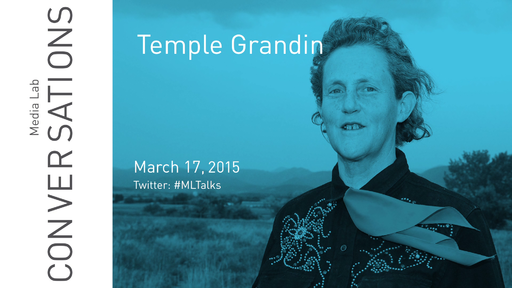 Dr. Temple Grandin was born in Boston, Massachusetts. Grandin's achievements are remarkable because she was an autistic child. At age two she had no speech and all the signs of severe autism. Fortunately, her mother defied the advice of the doctors and kept her out of an institution. Many hours of speech therapy and intensive teaching enabled her to learn speech. As a teenager, life was hard with constant teasing. Mentoring by her high school science teacher and her aunt on her ranch in Arizona motivated Grandin to study and pursue a career as a scientist and livestock equipment designer. Dr. Temple Grandin obtained her BA at Franklin Pierce College in 1970. In 1974 she was employed as livestock editor for the Arizona Farmer Ranchman and also worked for Corral Industries on equipment design. In 1975 she earned her MS in animal science at Arizona State University for her work on the behavior of cattle in different squeeze chutes. Dr. Grandin was awarded her PhD in animal science from the University of Illinois in 1989 and is currently a professor at Colorado State University. She has done extensive work on the design of handling facilities. Half the cattle in the US and Canada are handled in equipment she has designed for meat plants. Other professional activities include developing animal welfare guidelines for the meat industry and consulting with McDonalds, Wendy's International, Burger King, and other companies on animal welfare. Following her PhD research on the effect of environmental enrichment on the behavior of pigs, she has published several hundred industry publications, book chapters and technical papers on animal handling plus 63 refereed journal articles in addition to ten books. She currently is a professor of animal sciences at Colorado State University where she continues her research while teaching courses on livestock handling and facility design. Her book, Animals in Translation was a New York Times best seller and her book Livestock Handling and Transport is now in its fourth edition. Other popular books authored by Dr. Grandin are Thinking in Pictures, Emergence Labeled Autistic, Animals Make Us Human, Improving Animal Welfare: A Practical Approach, The Way I See It, and The Autistic Brain. Dr. Grandin has received numerous awards including the Meritorious Achievement Award from the Livestock Conservation Institute; she was named a Distinguished Alumni at Franklin Pierce College, and received honorary doctorates from McGill University, the University of Illinois, and Duke University. She has also won several prestigious industry awards, and her work has also been recognized by humane groups and she received several awards. HBO has recently premiered a movie about Dr. Grandin's early life and career with the livestock industry. The movie received seven Emmy awards, a Golden Globe, and a Peabody Award. In 2011, she was inducted into the Cowgirl Hall of Fame. She is a past member of the board of directors of the Autism Society of America. She lectures to parents and teachers throughout the U.S. on her experiences with autism. Articles and interviews have appeared in The New York Times, People, Time, National Public Radio, 20/20, The View, and the BBC. She was also honored in Time magazine's 2010 "The 100 Most Influential People in the World." In 2012, Dr. Grandin was inducted into the Colorado Women's Hall of Fame. 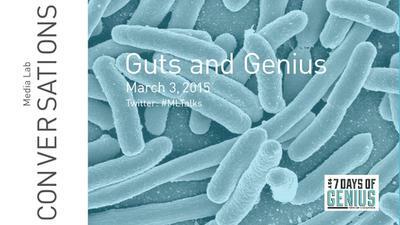 Dr. Temple Grandin in conversation with founder and director of the Media Lab's Affective Computing Rosalind Picard. Du, C. "Prediction of Paroxysmal Atrial Fibrillation (PAF) Onset through Analysis of Inter-beat Intervals (IBI)"